Dr. Heldman received his B.S. in Biomedical Engineering from Duke University in 2002 and went on to complete his Ph.D. in Biomedical Engineering at Washington University in St. Louis in 2007. He has a broad background in neural engineering and neurophysiology, with extensive experience in developing algorithms for quantifying movement disorder motor symptoms. He joined the company in 2007 as senior biomedical engineering researcher and is now the President and COO. Robert "Bob" Schmidt is the founder and chairman of Cleveland Medical Devices, Orbital Research, NeuroWave Systems, and Flocel Inc., and the founder, chairman and CEO of Great Lakes NeuroTechnologies. He received his BS degree in Mechanical Engineering and his MS from Rensselaer Polytechnic Institute; his MBA from the University of Utah, and his Juris Doctor (1981) from Cleveland State University. He is a licensed professional engineer (Ohio, 1976) and an attorney (Ohio, 1981) and US Patent and Trademark Office, 1982). Bob supervised programs for the US military, NIH, NASA, DoEd, DoT, NSF, Exxon, Arco, and Shell. He has over 30 US patents, and has led two companies onto the Inc. 500. He is the only person to have been awarded by Michael Porter of the Harvard Business School and Inc. Magazine the “Inc. Inner City 100 Award” for the fastest growing companies 7 times in the first 7 years of the award. Dr. Kolkowski has 30 years legal and engineering experience. Brian has served in his current position at Great Lakes NeuroTechnologies since its founding. Brian is responsible for intellectual property and along with Bob Schmidt business development. Brian holds a Ph.D. in engineering from Case Western Reserve University and is a licensed patent attorney. Prior to 2002, Brian held a variety of legal roles with The BF Goodrich Company, ICI Glidden, Avery Dennison, & Spencer, Frank and Schneider which subsequently merged with Venable LLP in Washington. Dr. Heldman received his B.S. in Biomedical Engineering from Duke University in 2002 and went on to complete his Ph.D. in Biomedical Engineering at Washington University in St. Louis in 2007. He has a broad background in neural engineering and neurophysiology, with extensive experience in developing algorithms for quantifying movement disorder motor symptoms. He joined the company in 2007 as senior biomedical engineering researcher and is now the Director of Biomedical Research. Dr. Heldman has served or is serving as principal investigator on six Phase I and three Phase II SBIR grants funded by the National Institutes of Health totaling nearly $7 million. He has served as principal investigator on multi-site clinical trials and been responsible for the preparation of IRB protocols, collection of clinical data, training clinicians, algorithm development, and statistical analysis. Dr. Heldman is currently leading a team of researchers and engineers in the development and clinical evaluation of the next generation of movement analysis systems. A list of Dr. Heldman’s publications can be found on PubMed. Dr. Hadley received his B.E. (2007) and Ph.D. (2013) degrees in Biomedical Engineering from Vanderbilt University and Case Western Reserve University, respectively. His interests include translational research with the goal of enabling clinicians to improve healthcare possibilities. Dr. Hadley has experience in designing clinical and preclinical research studies and looks to develop and improve technologies so that patients who need new devices and treatments can have them prescribed. Aaron also has research experience in biomedical engineering for neuromodulation, ENT, speech pathology, and sleep research. Dr. Hadley received his B.E. (2007) and Ph.D. (2013) degrees in Biomedical Engineering from Vanderbilt University and Case Western Reserve University, respectively. His interests include translational research with the goal of enabling clinicians to improve healthcare possibilities. Dr. Hadley has experience in designing clinical and preclinical research studies and looks to develop and improve technologies so that patients who need new devices and treatments can have them prescribed. Dr. Hadley also has research experience in biomedical engineering for neuromodulation, ENT, speech pathology, and sleep research. 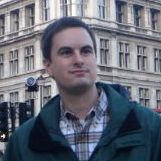 Stephan is the technical lead and architect for all aspects of software development. Has 20 years of experience in software development and has launched several high-performance Software as a Service (SAAS) products used by fortune 500 companies. SAAS products included web applications, middleware and analytics platforms. Has experience in leading cross functional and offshore teams in the development of commercial software. Stephan’s work experience includes software development positions in human resources, manufacturing and aerospace industries. Robert "Bob" Schroeter received his B.S. in Business Administration, with a major in Accounting, from Bowling Green State University in 1985. Bob’s background focuses on all facets of corporate accounting, financial reporting and cash management functions in a manufacturing environment. He has recently earned his certification in Grants Management-Recipient Track from Managements Concepts. Mr. Schroeter is currently the Controller at Great Lakes Neurotechnologies. Michael "Mike" Addante has 15+ years of technical experience in the IT field. His multiple skill sets include IT administration and security, software licensing and compliance, vendor management, disaster recovery planning and implementation, LAN/WAN administration and planning, Mitel VoIP telecommunications administration, Hyper-v network maintenance, and building security. Mr. Addante continues to position the company for growth through technical certifications and is CompTia and Microsoft certified, as well as support engineer certification from Vidyo for maintaining telemedicine server applications. Robert "Bob" Plott has 40 years of experience in electronics design, development, production, and application engineering. For the past twelve years, he has developed and manufactured products for Great Lakes NeuroTechnologies and its predecessor, Cleveland Medical Devices Inc. Bob has an Electronic Engineering Technician degree from the Ohio Institute of Technology. Before becoming the Manufacturing Manager at GLNT, he was an Associate Engineer. Maureen has been with Great Lakes NeuroTechnologies since 2005 and is responsible for business development and integration of the Kinesia technology platform into clinical trials. Once integrated, she provides full trial support from protocol development through data collection and analysis. Her previous roles at GLNT included marketing and regional/international sales management for all product lines. Maureen has a degree in International Business and is pursuing a degree in Economics at Cleveland State University. Dr. Tarler holds a PhD degree in Biomedical Engineering from Case Western Reserve University, is a principal investigator on a number of National Institutes of Health (NIH) grants and has numerous awards, over 30 publications, and eight issued patents to his name. With over a dozen years of experience, Dr. Tarler has been instrumental in the development of a wide array of technologies that have resulted in patents and commercial products alike. Some of Dr. Tarler’s recent work includes co-inventing a new self-abrading and rapidly applied EEG electrode, designing and developing a device for delivering a controlled level of CO2 to treat patients with chemoreflex-modulated sleep disorder, design and development of a new echolocation device to determine the actual location of apnea obstructions, investigating a new and novel use of electrical stimulation to treat chemoreflex-modulated sleep disorder patients, and developing a new and novel sleep monitors with minimal sensors. Upon earning his B.S. in Biology from Kent State University, Chad developed his quality management credentials in the pharmaceutical manufacturing industry through leadership roles in product disposition, operations auditing, investigations, analytical chemistry and production. In 2014, Chad began his successful transition into the medical device industry as the Quality and Regulatory Manager for Great Lakes NeuroTechnologies Inc.
Sara received her B.S. from Cleveland State University in 2006 and PHR in 2014. Sara works to plan, coordinate, and implement human resources activities and colleague professional development at Great Lakes NeuroTech. She is responsible for guiding and implementing GLNT’s commitment to attracting and developing the highest level of talent. Sara is also a member for the Society for Human Resources Management.